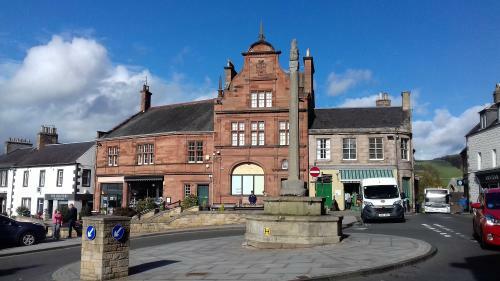 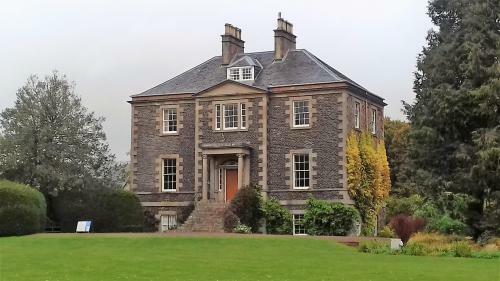 Melrose is a small town in Roxburghshire on a bend in the River Tweed. 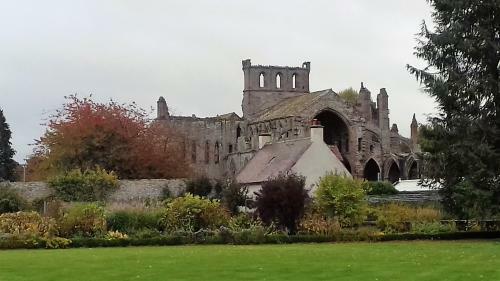 The ruined Abbey, Melrose Abbey was refounded for the Cistercian order by David 1 in the early 12th Century. 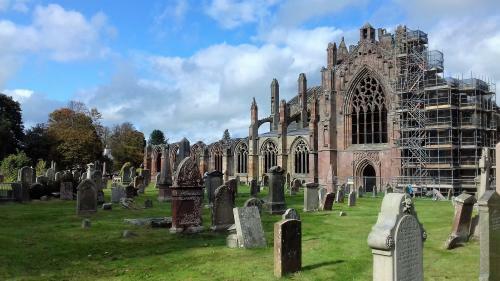 It is one of the most beautiful monastic ruins in Great Britain. 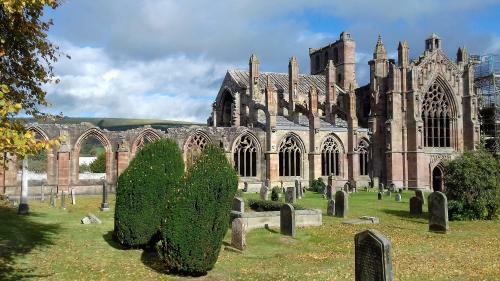 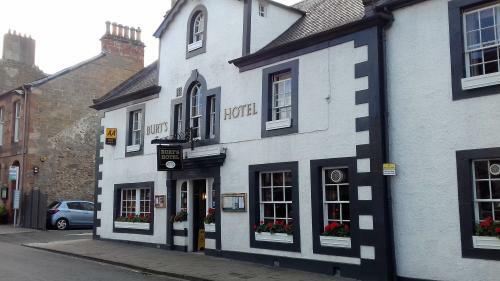 It is the site of the burial of the heart of the Scottish King Robert the Bruce. 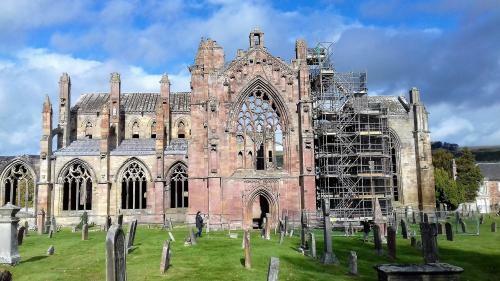 An excavation found a sealed casket which was placed in a sealed lead cylinder and reburied in the Abbey. 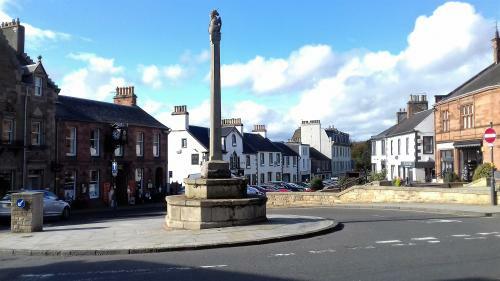 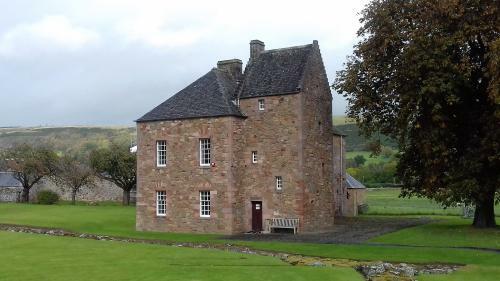 Nearby is the Roman Fort, the Trimontimum below the 3 peaks of the Eildon Hills and the ruins of Dryburgh Abbey.